LOS ANGELES (AP) — Andres Dorantes has long been content with the green card that lets him live in the US and work as a tattoo artist in Los Angeles. Since last month, immigrants have been rushing to prepare applications to become US citizens. Legal service organizations in Los Angeles, Maryland and New York catering to diverse immigrant communities from Latin America, Asia and the Middle East all said they’ve been fielding a rising number of calls and questions about how to become a citizen. The wait time has doubled for a spot at a monthly naturalization clinic focused on Asian immigrants in Los Angeles. Since Trump’s executive orders on immigration, the number of immigrants inquiring about citizenship has also doubled at a Muslim organization in Southern California and at Latin American-focused groups in Maryland and New York, advocates said. 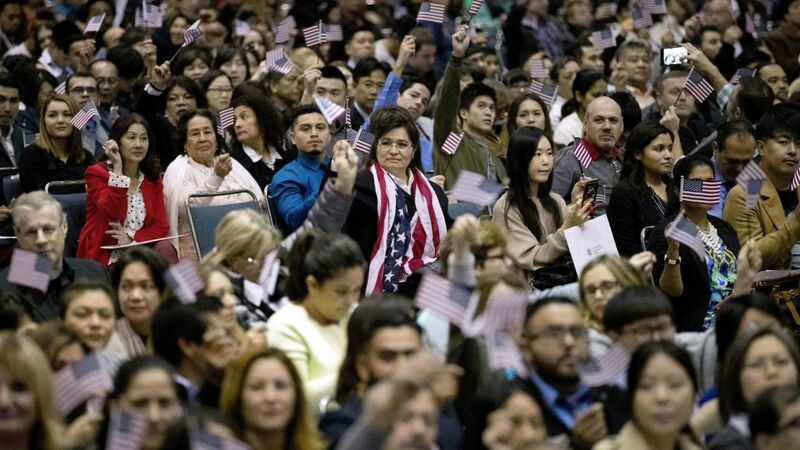 The growing interest in citizenship follows a surge in naturalization applications last year amid Trump’s anti-immigrant campaign rhetoric and ahead of a December increase in filing fees. Nearly 1 million people applied to naturalize during the 2016 fiscal year, the largest number in nine years, government data shows. At naturalization ceremonies in Los Angeles last week, many of the 6,000 newly sworn citizens proudly waved flags and shed tears at the culmination of a lengthy journey to become Americans. A ceremony in Chicago a week earlier took an emotional turn when a Syrian immigrant recited the Pledge of Allegiance amid a rancorous court fight over the new president’s travel ban affecting his native country. Immigrants historically have sought citizenship for the many new opportunities it brings: the ability to vote, better job prospects, an American passport for travel, bringing relatives here from overseas. This year, it’s more about fear in a Trump administration. “After the election, the desire to naturalize shifted. It wasn’t more about opportunity and bringing more family, it was more about, ‘there is a new president who is anti-immigrant and we need to do what we can to protect ourselves,” said Nasim Khansari, citizenship project director at Asian Americans Advancing Justice in Los Angeles. For many of those now coming forward, the big change came when Trump issued a travel ban against citizens of seven Muslim-majority countries. Even immigrants not affected by the ban — which has since been blocked by the courts — were jolted, advocates said, especially when green card holders were initially held for questioning at US airports along with visitors. 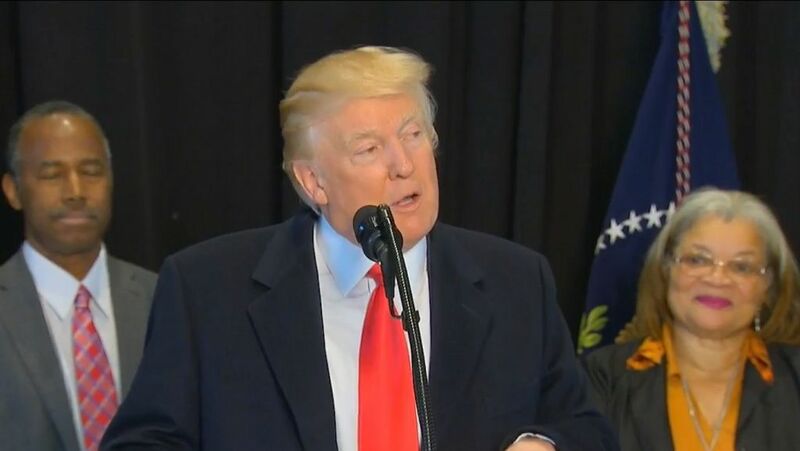 Trump’s calls for a border wall and more deportations were inspiration for some. Los Angeles-area inkmaker Gustavo Zavala, who has lived in the US for nearly four decades, said he naturalized in December after his now-grown daughters urged him to do so in response to Trump’s anti-immigrant campaign rhetoric. But many immigrants still didn’t take that final step toward citizenship, doubting Trump would win or carry through on his promises — or that his policies could somehow affect lawful permanent residents who have lived and worked in this country for years and have no other home. At last week’s ceremonies in Los Angeles, new citizens — many who began the application process long before Trump was elected — said they were relieved they will not have to deal with stepped-up enforcement measures. “At the end of the day, I was still a citizen from Iran. Now, I kind of feel safer,” 21-year-old Erik Danialian said.